A Famitsu article posted online today revealed a handful of new characters for the strategy-RPG crossover title Project X Zone 2, featuring characters from Capcom, SEGA, and Bandai Namco Entertainment. There were two Pair Units discussed. First is a Darkstalkers (Capcom) team featuring Demitri Maximoff and Morrigan Aensland. Demitri was originally conceived as the story lead for the Darkstalkers series, but Morrigan has over time evolved to being a deuteragonist and is the de facto face of the series. The two characters don’t get along that well but will come together when need be. The other Pair Unit features Chun-Li (Street Fighter from Capcom) and Ling Xiaoyu (Tekken from Bandai Namco Entertainment.) Chun-Li is one of the most well-known characters in Street Fighter and Xiaoyu is a constant companion of Jin Kazama (when she’s not with Panda, maybe,) teaming with him in Street Fighter X Tekken and the first Project X Zone. The Famitsu article also disclosed three Solo Units. God Eater‘s Alisa, previously teaming with Soma Schicksal in Project X Zone, is now a Solo Unit and comes to this game in her God Eater 2 attire. Pai Chan from the Virtua Fighter series, previously teaming with Akira Yuki (he’s partnered with Kage-Maru this time,) is now a Solo Unit. It’s worth noting that the first Project X Zone didn’t have any Virtua Fighter-related Solo Units. Lastly and in a most interesting turn, Hibana from Nightshade is a Solo Unit. Nightshade is the sequel to Shinobi for the PlayStation 2, and the two games are a departure from conventional Shinobi games (2D action platformer) in that they were 3D action games, and moderately popular at that. 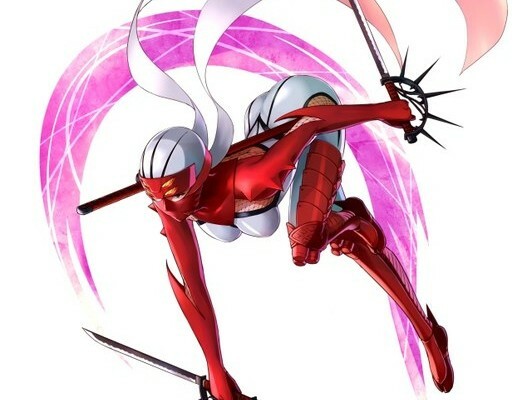 The striking character designs for Hotsuma (teamed with Strider Hiryu here) and Hibana leave a lasting impression. This is Hibana’s first appearance in a Project X Zone game. There’s no telling exactly how many characters are left, but there are supposed to be more characters in this game than the last. In any case, since we have a Capcom X SEGA team (Strider and Hotsuma) and a Capcom X Bandai Namco Entertainment team (Chun-Li and Xiaoyu) expect a Bandai Namco X SEGA character team down the line.